It is not uncommon for businesses to face internal misconduct or outside threats to their livelihood and reputation. Whether a large or small enterprise, any breaches of the status quo through fraud, asset misuse, or other unethical behavior creates upheaval, interferes with day-to-day operations, and jeopardizes current and future corporate success. Discreet Michigan corporate investigations conducted by ASG uncover the source of any breach so you can safeguard proprietary information, break ties with untrustworthy employees or partners, pursue legal action if necessary, and restore the safety and security of your company. While every corporate investigation is unique and every entity or individual who threatens a business or company believes they are clever, there are always traces and trails that lead to the crimes and indiscretions. A professional Michigan private investigator is trained in the art of identifying these indications of wrongdoing. When you suspect that something untoward is happening in-house or on the perimeter of your organization, it is critical to retain the services of a professional investigator to conduct an impartial corporate investigation on your behalf. Asset Misuse: Recreational use of company vehicles, accepting perks in exchange for special treatment, using company funds for personal needs, using company premises and equipment for unsanctioned or competitive business uses. Breach of Non-Compete Contract: Starting and operating a competitive business that is informed by proprietary information and trade secrets. Employee Misconduct: Harassment, payroll abuse, substance abuse, non-compliance, insubordination, and asset misuse. Employee Time Theft: Abusing the work-at-home privilege, using work travel time for leisure, being distracted by smartphones or social media. FMLA Abuse: Falsely claiming medical leave to get a vacation or break from work or use that time to carry out a second job. Fraud: Misuse of business assets, money laundering, check fraud, bribery, computer fraud, internet fraud, shell companies, credit card fraud, and more. Workplace Incidents: Suspicious accidents, threats, injuries, almost-accidents, intimidation, and more. Having a hunch about misconduct is all you need for a corporate investigation to commence. Private investigators have the tools and experience to carefully and subtly monitor the situation, uncover information, and conduct interviews in an impartial manner. Professional investigators are trained to gather details legally and scrupulously so they can be used in a court of law, if necessary. Computer Forensics: Any untoward business dealings in today’s culture undoubtedly involve technological trails. 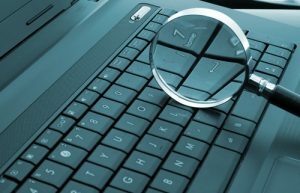 A detailed computer forensic investigation conducted using court-recognized software extracts evidence without corrupting it. Recovered information can be harvested from emails, websites, external storage devices, deleted documents, and more. Even if data, documents, or messages were erased, data is never truly eliminated. Your dedicated IT professional may have effective skills, but they cannot compete with the technology of a computer forensics private investigator. Cell Phone Forensics: An entity unto itself, the cell phone is a treasure trove of data, whether it is a personal phone, corporate phone, pre-paid phone, or burner phone. Skilled cell phone forensics investigators can uncover relevant, critical evidence using the same methods as federal law enforcement, including text messages, call logs, passwords, GPS locations, pictures, videos, deleted files, senders, recipients, and more. Undercover Surveillance: Whether evidence is gathered via video, tracing, in-person monitoring, or otherwise, stealth is often necessary to prove a crime, violation, or transgression. Michigan private investigators use high-tech surveillance equipment, undercover operations, and other surreptitious methods to identify those at fault. Why Outsource Your Michigan Corporate Investigation to ASG? Where your business is concerned, so too is your heart and soul. You are too close to the situation to be impartial, restrained, and controlled enough to tactfully gather proof of indiscretions. The Michigan corporate investigators at ASG can be depended upon to do the detailed work you need while leaving you to essential daily operations and engagements. Eliminating yourself from the investigative equation gives professional investigators the clear path to uncovering the truth about what’s happening within the walls of your business or the external crimes that are threatening the walls of your organization. What’s really going on? Who is involved? Avoid disaster, be proactive, and save yourself from financial doom. Contact ASG today to discuss your corporate investigative needs.